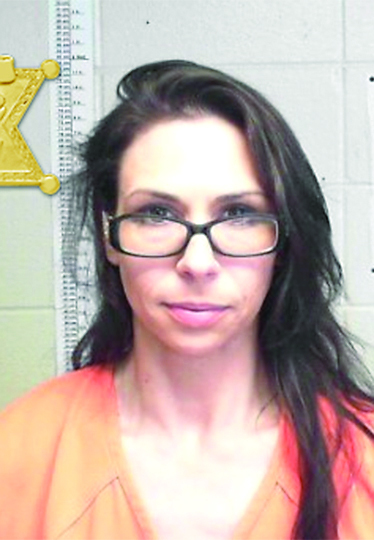 The mother and girlfriend of a Natchitoches Parish work release inmate that fled from a south Natchitoches Parish work site Saturday evening were arrested in connection with their involvement in his escape. According to Natchitoches Parish Detention Center Chief of Corrections Roger Henson, Jale Christopher Hopwood, 33, assigned to the NPDC work release detail arrived at his assigned detail in south Natchitoches Parish Saturday at 7 p.m.
At approximately 9 p.m., supervisors discovered him missing and notified the Natchitoches Parish Sheriff’s Office. Sheriff Victor Jones, patrol deputies and corrections divisions responded. Deputies combed the area but were unable to locate Hopwood. An all points bulletin was issued. The US Marshal’s Fugitive Apprehension Unit was notified and began assisting deputies. During the course of the overnight investigation, deputies and corrections division investigators developed information hat Hopwood’s girlfriend, Stephanie Fruge Howe of Shreveport, traveled to an undisclosed location near Chopin and picked Hopwood up after he jumped a rear fence at the job site. Deputies work security at the work site, however, this area is restricted to only company personnel and not law enforcement. Howe and Hopwood then traveled to Shreveport. NPSO featured Hopwood on its website and social media page as well as through media sources. On Monday, Feb. 11, a concerned citizen contacted Opelousas Police Department after they recognized Hopwood from a newscast. The citizen reported seeing Hopwood and a female at an Opelousas hotel. At 7:45 a.m., Opelousas Police took Hopwood into custody along with his mother, Raylene June Hopwood, 57, of Shreveport without incident. Natchitoches Parish Detention Center Captain G. Sers and Investigator Y. Spillman traveled to Opelousas and transported both suspects to the Natchitoches Detention Center. As a result of the investigation, corrections division investigators arrested Jale Christopher Hopwood, 33, charged with Simple Escape; Stephanie Fruge Howe, 34, of the 5000 block of Belle Chase Drive, Bossier City, charged with Assisting with an Escape; and Raylene June Hopwood, 57, of the 3100 block of Bert Kouns Drive, Shreveport, charged with Assisting with an Escape. All three remain in the Natchitoches Detention Center awaiting bond.